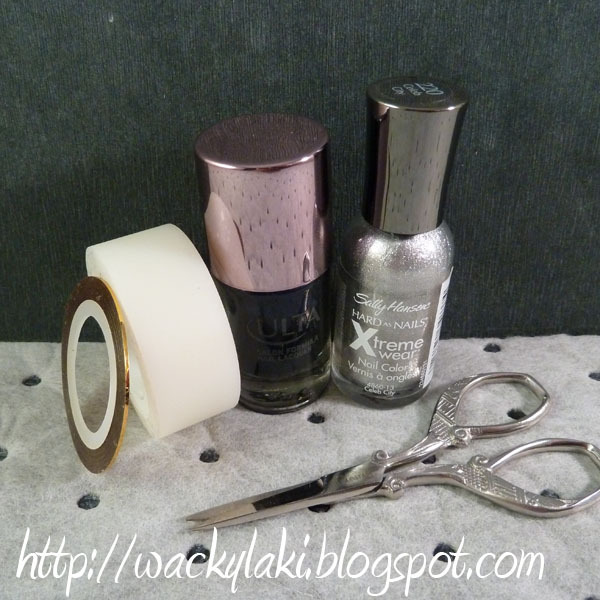 I had a few questions about how I did the tips for my Chanukah manicure back in December, so I promised a tutorial. Just to set the record straight, I did not freehand the lines, although I wish I was good enough to do that :D. I hope this tutorial helps those of you who wanted to try it. - Allow polish to dry completely! - Once the polish is dry, apply a piece of striping tape a desired distance from the tip. - Place a piece of scotch or painter's tape a desired distance from the striping tape. NOTE: Do not wait for the polish to dry, remove the tape right away. 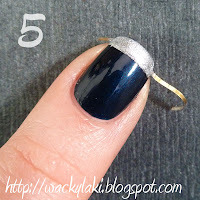 NOTE: when doing a full manicure, paint and un-tape one nail at a time. 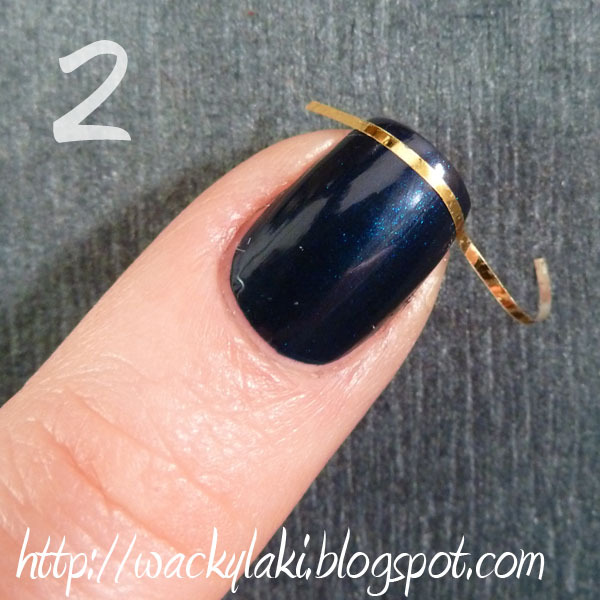 Doing multiple nails at a time will increase the chance that the polish starts to set and the tape will not come off cleanly. This is super cute! I recently got some striping tape, so I'll have to use it. I agree-you make it look SO easy! 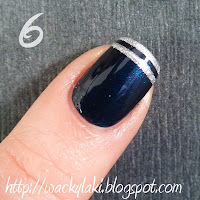 I need to get sdme of that striping tape!! 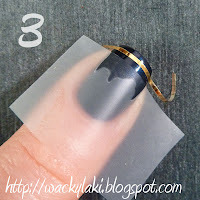 I never tried it with removing the tape immediately...great suggestion! I did something kind of similar but my stripes were a tiny bit lower on my nail and not directly on the tip. 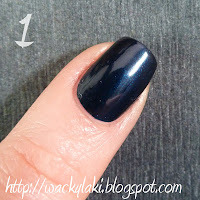 I polished my nails with the silver polish and a top coat...once that was dry I put two strips of striping tape on and polished the dark blue polish and removed the striping tape immediately. I only did the stripes as accent nails on my ring finger and thumb. I got a lot of positive feedback when I posted a photo on facebook. 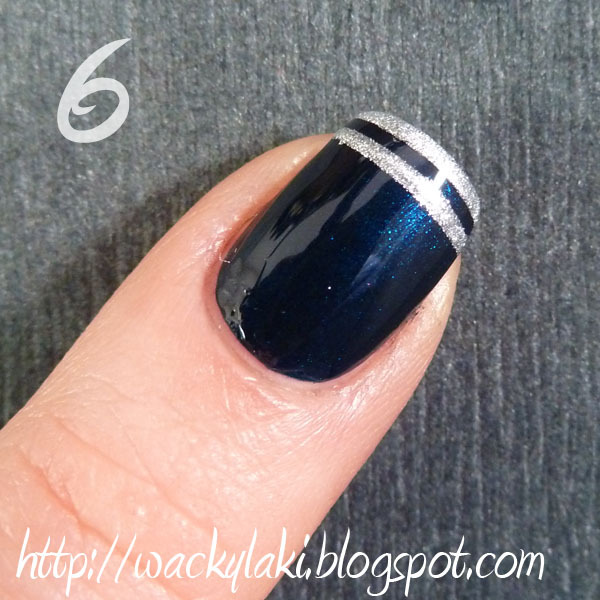 Love love love striping tape for doing tiny stripes like this.